This is a semi-private workshop for max 5 persons now open to the public – there are few spots left. Full = full. After a long break from teaching B&W fine-art architectural workshops in major cities over the world, acclaimed and multiple award-winning B&W photographer Joel Tjintjelaar is back with his first new B&W fine-art architecture workshop in London. Albeit this time in smaller groups than before to maximize the student-teacher interaction and personal guidance. During his break, Joel has further developed his structured B&W post-processing techniques and methods, that have found a large global following, in innovative ways to set a new benchmark in digital B&W post-processing. 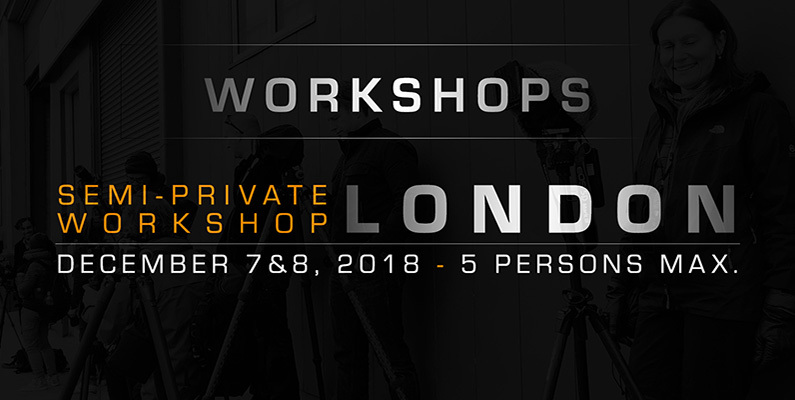 The London workshop will also be the first time to share a newly developed and advanced masking technique to a larger audience. Apart from innovative post-processing techniques, Joel has also developed a new practical approach to shooting high impact architectural photos based on new insights on how aesthetics are perceived and is very excited and motivated to share all this knowledge with a larger audience. 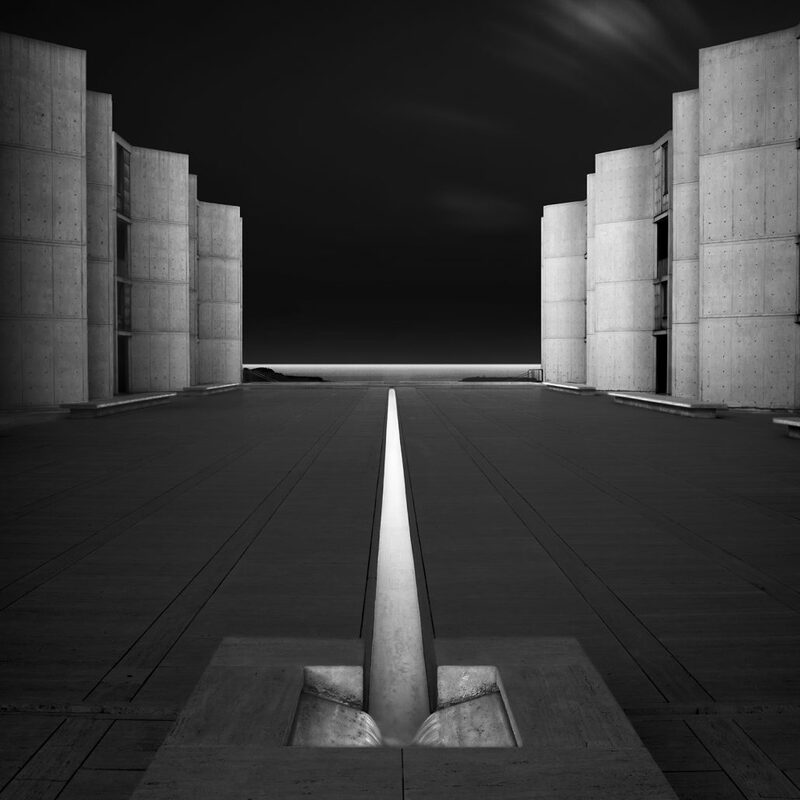 Joel was arguably the first to initiate and popularise a style in B&W fine-art architectural photography, that took architectural objects as symbols for the expression of artistic ideas, in a visual style that emphasized the architectural objects by giving it hyper-realistic depth in an almost surreal setting, when he introduced his Salk Institute photograph to the public in 2010. It marked the start of architectural images characterized by stylized architectural objects with tremendous visual depth, surrounded by darker skies and use of dramatically enhanced shadows to obscure visual noise in combination with long exposure techniques. A style that resulted in many international awards and publications since 2010 and which has been emulated many times and has become ubiquitous in the online world after Joel started lecturing through workshops, video tutorials and blog posts on how to create such a style since 2011. Even though Joel encourages students to find their own voice and style, he strongly believes that learning through emulation is a sure way of mastering a craft and eventually finding the own artistic voice. If you want to experience why his techniques and methods for creating eye-catching B&W images have gained a large following and acclaim over the years and you want to be at the forefront of B&W craftsmanship and knowledge, then join us at our knowledge-packed workshop in London on December 7 & 8, 2018. Registration after September 10: US$ 1390 (€1195) per person. This is already a discounted price based on 5 attendees – click here to see the list with original prices. The price does not include your costs for traveling and staying in London. Type of workshop: A semi-private workshop for max 5 persons focused on advanced B&W post-processing and shooting architecture using long exposure techniques in fine-art style in London. There’s also a focus on receiving the skills and knowledge needed to get recognition as an artist, be it with awards in competitions or being represented by galleries. Where: The iconic architecture of London for shooting in the field and private classroom sessions for the post-processing and theoretical part. Level: Intermediate to Advanced. To ensure effective knowledge transfer for all, it is recommended to only attend this workshop if a basic to intermediate level of Photoshop skills and intermediate to advanced level of shooting photographs, in general, are present. Basic skills in using the camera are assumed present and will not be part of the workshop. Neither will an introduction to Photoshop be part of the workshop. Seats: To ensure personal interaction and attention with each student, the maximum number of 5 students will not be exceeded. Formal Registration: via filling out the form below and making a payment with Paypal or Creditcard. A registration will only count as a formal registration when also a payment has been made. The count of the max number of registrations will be based on the first 5 payments. Therefore it is recommended to pay first and then fill out the form if you want to be sure you’re with the first 5. Please ensure the email address and/or name to enter can be traced back to the contact details when making the payment. Workshop program outline and other relevant details can be found by scrolling down this page till after the application form. I’m your teacher and guide and I’ll be guiding you extensively. Which means I’m not teaching workshops to take photographs myself during workshop hours. If I pick up my camera it is only to demonstrate something. It’s recommended to have at least intermediate understanding of Photoshop. If you have intermediate skills in post-processing, I will bring you to an advanced level, and if you already have an advanced level of B&W processing, then I’ll show you how to get even better using cutting-edge processing techniques. The basics of my manual B&W workflow as I’ve been teaching for 7 years and has been adopted by many reputed and award-winning photographers over the world. New tools and techniques for B&W post-processing that go beyond the standard ubiquitous features that everyone uses. It’s a new technique that offers more accurate and predictable results and is very effective for controlled local adjustments. These new methods are the engine behind the B&W Artisan Pro software Joel introduced this year. New masking techniques that also go beyond the standard methods and is far more accurate and faster than any other advanced masking method. I’ve called it the channel-gradient method that is a proprietary method and also forms the core of my masking software. Rules for good and effective B&W photography. It’s the 2018 evolution of my Rules of Gray which are guidelines for high-impact aesthetic B&W photography to effectively support the message behind a fine-art photograph. The essential theory behind fine-art and the why and how behind creating beautiful and meaningful images. How to shoot architecture effectively using principles of ‘aesthetic distortion’ and ‘the maximum point of perspective’ while at the same time respecting technical rules for good architectural photographs. These principles and other composition principles specifically designed for high-impact architectural photographs are my primary composition principles for architecture and not traditional compositional rules like the ‘Rules of Third’ or the Golden Ratio that are more applicable to landscapes. If you don’t know how to shoot long exposure photographs, I will teach you that, and if you already know it, I can perhaps show you more. These days you can learn long exposure photography from anyone, but very rarely you will learn it the right way from someone who has set new contemporary standards in the old tradition of long exposure photography. The basics and advantages of shooting architecture with a tilt-shift lens. I can show you that with a tilt-shift lens for digital cameras and I can show you that with my Large Format View camera to understand the essence and principles even better. Getting recognition as an artist and how to win awards. Sharing my various insights on how to get recognition as an artist and also how to win awards. Winning awards is far more predictable than one might think and I’ll share my insights as a multiple award-winner myself and my experiences as a member of a jury for various competitions. The experiences I share with you for getting recognition are based on experiences that are relevant to the traditional gallery and publication world and the online world. Note that a detailed program with locations will be provided 3 weeks before the workshop starts, at the latest. Recommended hotels will be provided 7 weeks before the workshop starts, at the latest. The emphasis will be on producing high-quality B&W images effectively using my so-called iSGM workflow method and shooting high impact architectural photographs with and without long exposure techniques that go beyond the basic knowledge. The theory behind fine-art and how to create aesthetics in a photograph will also be an important part of this course. PRE workshop: Portfolio review 2 weeks before the workshop starts via email (included in the price) to determine a baseline prior to the start of the workshop. PRE workshop: An instructional video will be provided 2 weeks before the workshop starts (included in the price) to get used to some of the basic elements and characteristics of my B&W workflow. This doesn’t exclude the requirement to already have basic Photoshop knowledge. This video is to give you a head start during the workshop days and to ensure the PS tools I use are used the same way by you. E.g. the gradient tool plays a very important role in my workflow for both processing and masking and I use it differently and more extensively than the average PS user. This video will be compiled exclusively for my private workshops only. PRE workshop: Relevant documentation related to the artistic and more theoretical aspects of fine-art photography, will be provided also 2 weeks before the workshop starts as PDF files or as URLs. This is also meant to get a head start during the workshop as I will refer to those documentation many times during my teachings. It is therefore recommended to go through these articles before the workshop starts. During Workshop days 1 and 2: Theoretical introduction how to shoot architecture in a technically correct way and how to add the personal fine-art style to it. During Workshop days 1 and 2: Shooting architecture in fine-art style under my guidance in the heart of London. A laptop computer for the classroom sessions. All payments are refundable upon request of cancellation (except a $40 processing fee and the Paypal/Credit Card fee of 2.9%). Cancellations (except mentioned fees) are in full up to and including September 20, 2018. Cancellations between September 21 and (including) October 20, 2018, are subject to 50% of the total in charges. Cancellations between October 21 and (including) November 10, 75% and no refunds will be issued with 30 days or less of notice before the workshop starts. We start paying our providers and for our expenses 70 days in advance in most cases and often times those payments are not refundable, that is why we are forced to charge for late cancellations. However, in some cases (not all) some of the payments can be used towards workshop by BWVISION and Joel Tjintjelaar. Of course, there are individual cases and we will do our best to consider those cases.